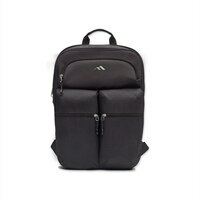 BRENTHAVEN Brenthaven Tred Slim Pack - Notebook carrying backpack - 14"
Brenthaven Tred Slim Pack - Notebook carrying backpack - 14"The Tred Slim Pack is an ideal solution for students who need a lightweight, functional carrying option for their mobile devices and supplies. Padded laptop compartment keep technology protected on the go and provides space capacity for a notebook, book, or others. The Tred Slim Pack is an ideal solution for students who need a lightweight, functional carrying option for their mobile devices and supplies. Padded laptop compartment keep technology protected on the go and provides space capacity for a notebook, book, or others.